Deep Pocket Embossed Sheets Only $15.99 Any Size! You are here: Home / Great Deals / Deep Pocket Embossed Sheets Only $15.99 Any Size! WOW! What a GREAT DEAL!!!! 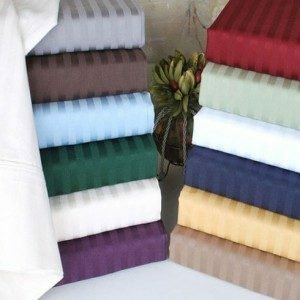 Deep Pocket Embossed Sheets Only $15.99 Any Size! Choose from 12 great colors in Twin, Full, Queen or King all for one low price! S&H Only $4.99! This is a GREAT DEAL! Grab this and other hot deals every day on Tanga!